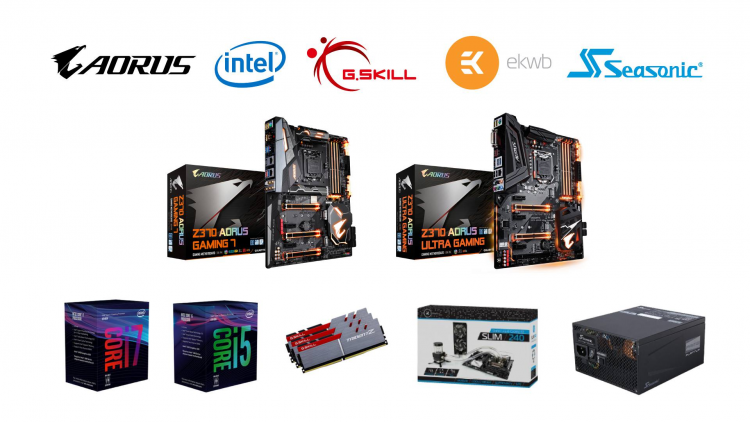 GIGABYTE continues to launch global overclocking competitions after the AORUS Winter OC Challenge which concluded at the end of February, GIGABYTE now launches the AORUS March OC Madness. The GIGABYTE AORUS March OC Madness will be hosted at HWBOT.org starting on the 1st of March until the end of March on the 31st. The GIGABYTE AORUS March OC Madness composes of four different stages which test the system’s 2D processing capabilities. The four stages include XTU 5GHz, GPUPI for CPU-1B 5GHz, HWBOT Prime 5GHz and HWBOT x265 Benchmark-4K 5GHz stages. Participants will be limited to overclocking their CPUs up to 5GHz to give an equal playing field between the novices and pros. Scoring is set per stage based on the benchmark scores of the of the competitors. Open to all participants that use an Intel processor and GIGABYTE motherboard. This competition is limited to GIGABYTE/AORUS motherboards only. Only up to 6-core CPUs are allowed. CPU and Cache Frequency limited to 5Ghz. Must use official competition background. To be eligible for the lucky draw, participants must submit in all stages of the competition.